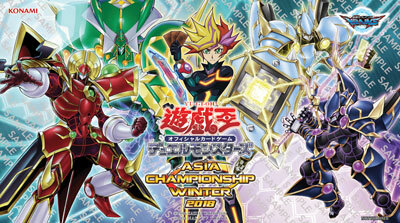 The main event for Asia Championship Winter 2018 is almost here where 12 duelists from the Asia region will battle it out for the first time in Tokyo Japan! The champion will win a spot in the Asia Championship 2018 Main Event where he/she will advance directly to the top cut playoffs. More details in the event page from the official website. This duel field featuring Playmaker and the Code Talker family from the anime is given to the 12 participants for the main event! 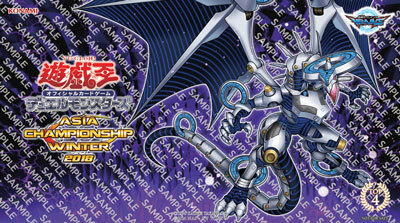 The top 4 prize duel field features the new alternate art for Firewall Dragon!